GOLD FEATHERS. ADVENTURES, INSPIRATION, AND OTHER LOVELY THINGS. 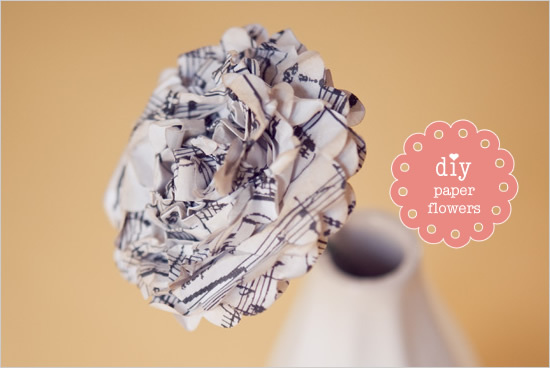 : DIY paper flowers. 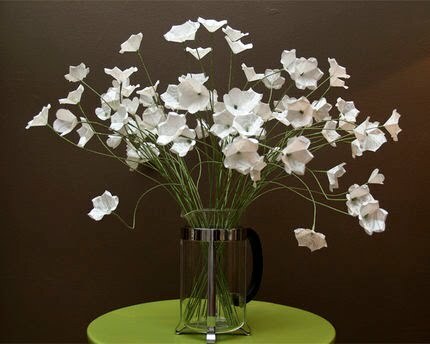 i love that idea because you can use recycled materials and they will last forever! she asked me for some links and i had a ton bookmarked. so i thought i'd share them here too! i'm a DIY freak...i save inspiration & craft ideas like crazy. it's so hard to find the time to craft though! although i somehow made 2 skirts yesterday! for one of the skirts i used an old ugly vintage dress. that would otherwise be thrown out. 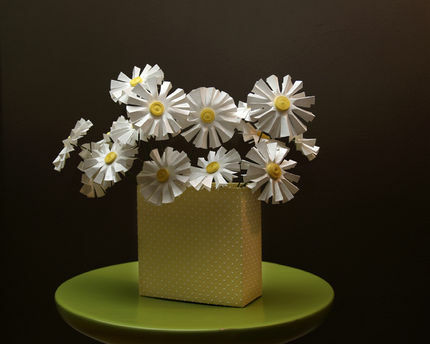 so anyway i love that you can make flowers from paper! 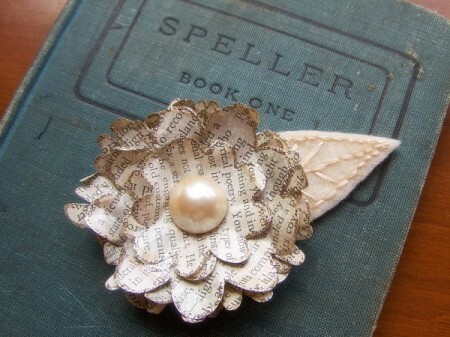 and OLD antiqued stinky book pages would be the best! i like how the petals are crinkled too. 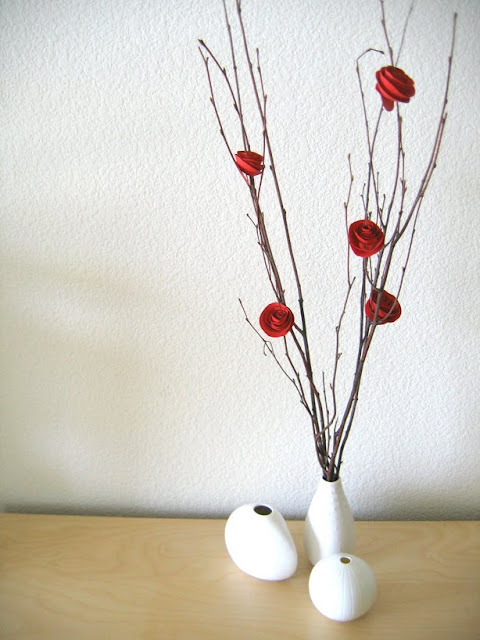 hung on a string or on sticks/branches in colorful vases. super fast with a paper shredder. and the button possibilities are endless! try buying old yellowing-paged books from the thrift store for this. 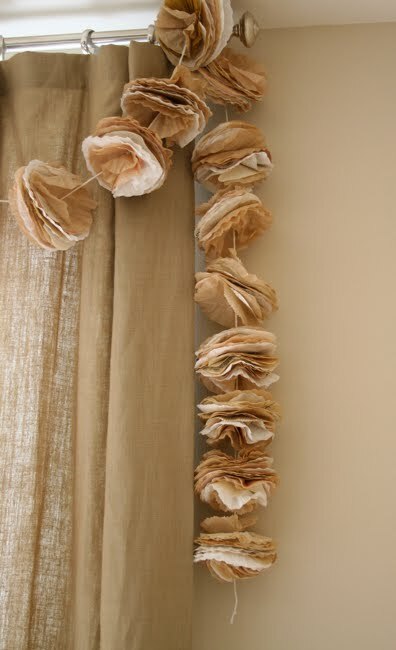 these garlands are stunning...made from coffee filters. you could also try it with cupcake liners! they're already colored! 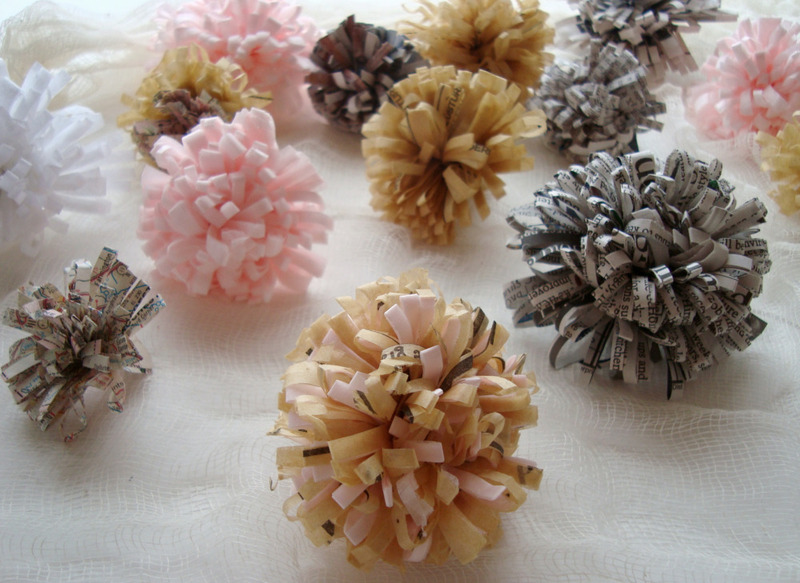 these are made with crepe paper. 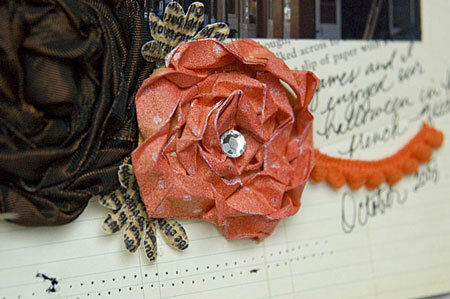 if you put a rosette type wad of the paper in the center. 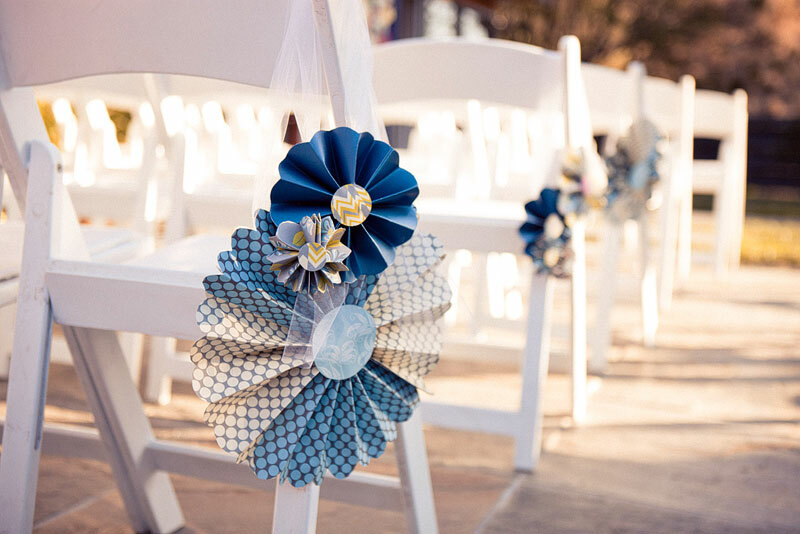 love how simple and delicate these are. love the subtle asian flavor. 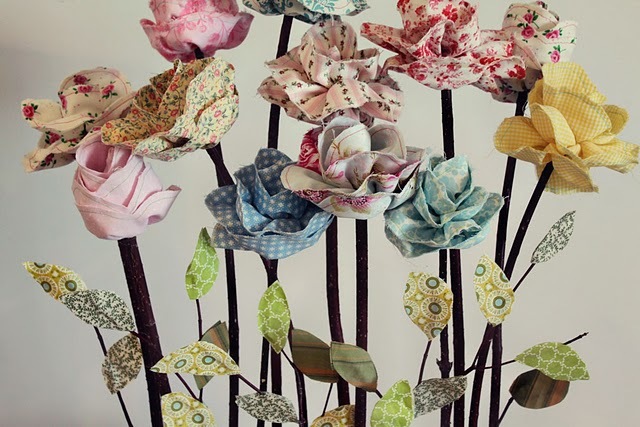 these are some of my favorite fabric flowers. 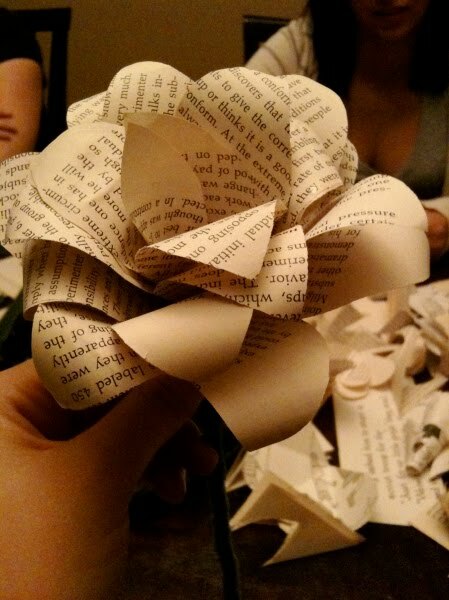 wrinkled old book pages or crepe paper maybe. 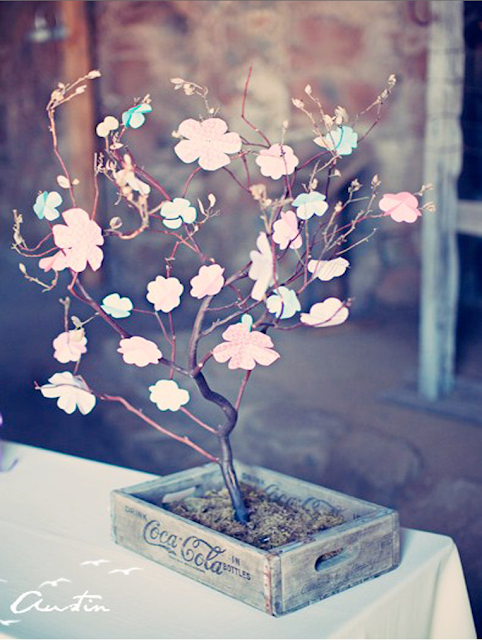 LOVE LOVE LOVE this paper flower tree. i really like the pinwheel look. 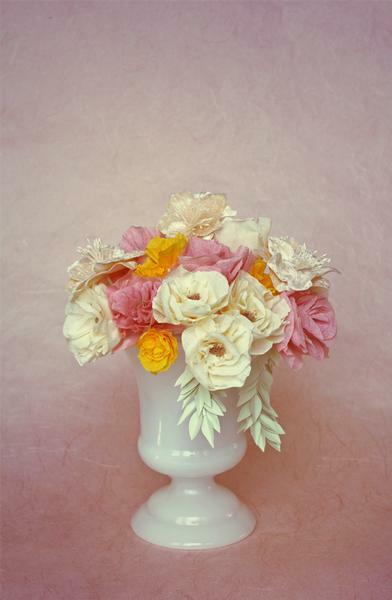 love the maya made tutorial for the pom-pomish flowers. i'm definitely doing that on penny's birthday presents next week. Thanks for sharing these links! I love them.